Hi, friends! The end of the year is almost upon us! Can you believe it's nearly 2016 already? Where did the time go? Anyway, it's time to talk monthly favorites. 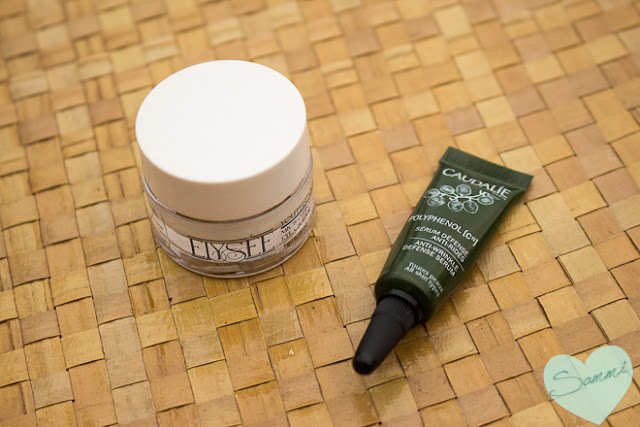 These are the tried-and-tested products I most reached for this month. I took most of these products with me when I went out of town for Christmas week. You quickly realize the products you really rely on when you can only take a select few in your suitcase! Let's get into the good stuff. NARS Velvet Matte Lip Pencil in Cruella ($26 | .086oz) - This was one of the two sample-sized crayon-shaped lipsticks in the Sephora birthday gift this year. I actually mentioned it in a recent post on my red lipstick collection. I'm especially a fan of this scarlet red color, Cruella, as a "going out" lip color. It's one of those "power reds" that make you feel more confident when you put it on (though maybe that's just me). It has a matte finish, though it doesn't feel drying on my lips, and has relatively good staying power for a matte lipstick. Some people have said they last through meals, though I always have to reapply after eating (which I don't mind, considering the oils from food make lipstick break up, anyway). I'm a big fan of the formula and would like to try other shades. Dragon Girl, a "siren red", and Bolero, a "pink cantaloupe" are next on my list! STILA Convertible Color in Peony ($25 | .15oz) - I could probably go blue in the face talking about these cream blushes, so I'm just going to come out and say it: these are my holy grail, and I'll probably never be without them as long as we both shall live (amen). But this is seriously the only blush I've used all month. They make me look fresh dewy, which is a feat in and of itself since I have dry skin. 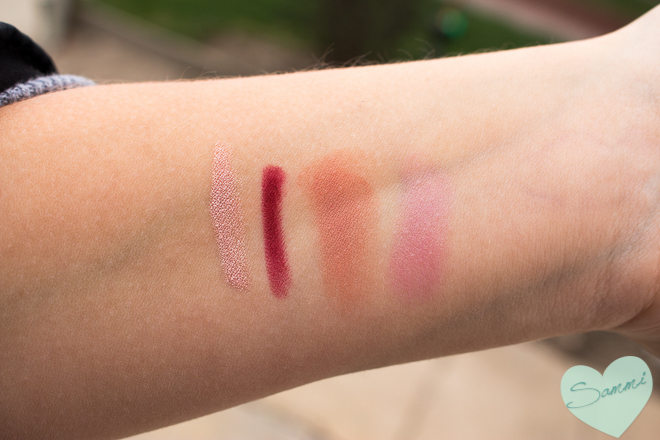 And this color in particular is basically the exact shade I actually blush, so it's perfect. Am I ever going to use anything else? Tune in next time to find out. 8pm/7pm Central. They have a pretty good shade selection (though not at the moment, since Sephora still seems to be recovering from the sale they just had), so all skin tones should be able to find something that works for them. BENEFIT Hydrating Tinted Lip Balm in Lollibalm ($18 | .10oz) - I received this tinted lip balm sample in a trade from a friend in a Facebook group, and I'm really liking it so far! The "tint" seems to be just a bonus (perhaps it is more pronounced if you apply it over their matching lip stain), but the formula is really nice. It's smooth and hydrating, and I was actually surprised how moisturized my lips still felt even hours after. Not bad for something that goes on the more cosmetic side of lip balm. I'd buy another shade. Probably the Benebalm though (based off their original rose-colored Benetint--see the sample I received in my Ipsy bag), since that one seems to have the most color payoff. VASANTI Kajal Extreme Intense Eye Pencil in Rose Gold ($18 | .04oz) - I received a deluxe sample-size of this pencil eyeliner in a Birchbox but never felt like picking it up and using it until recently. Now it's been incorporated into my regular makeup routine! I like to use this along my upper and lower lashlines to brighten up my eyes. 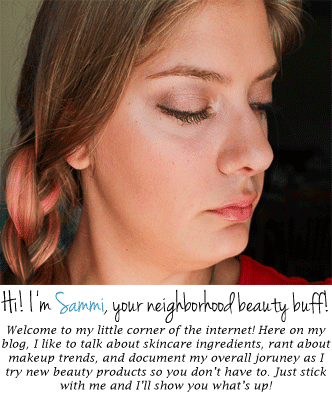 Sometimes I'll rub it all over my eyelid (yes, it's that creamy) and use it as eyeshadow, too. It's much more subtle than a brown or a black eyeliner (so you can be messy and no one has to know) but it still draws attention to your lashes. The staying power is really great, too--but even if it wasn't, it's not like it would be that noticeable. 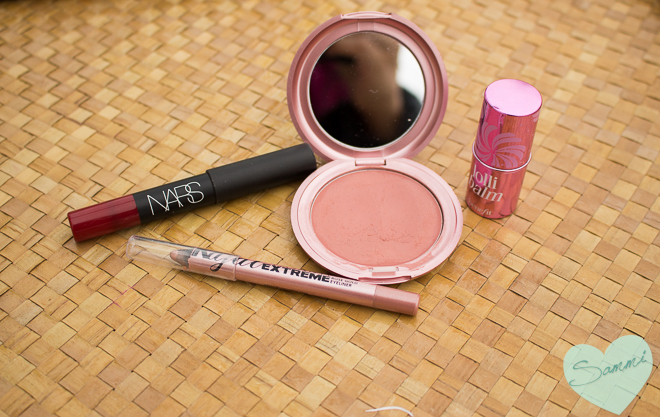 It's the perfect addition to a lazy day makeup routine, if you have one. ELYSEE YouthSpan Micro-Firm Eye Repair Creme ($33.50 | .5oz) - I received this eons ago from HSN, but since it takes me forever to use up an eye cream, I'm just getting to it now. This eye cream is extremely thick (I imagine if you hold it upside-down, it won't go anywhere), but I also just finished using a full-size of Adovia's Eye Gel, so it's been awhile since I used a traditional eye cream. I like it, though! The area around my eyes tends to get quite dry, especially in the inner and outer corners, and this has done a great job of rectifying that. CAUDALIE Polyphenol C15 Anti-Wrinkle Defense Serum ($62 | 1oz) - So far, I'm not seeing much of a difference between this sample and their Vinoperfect Serum that I received in my Lovely Day Birchbox. I'm not complaining though, since I really liked that one! It has a thin, liquid consistency, kind of like a thin moisturizer, like "essences" in Asian skincare lines. I'm a big fan of the texture--it feels lightweight yet still hydrating, and I love that it's delivering antioxidants to my skin, but I don't love the price. I don't see myself purchasing a full-size unless they have it on major discount, but I'll be on the lookout! There we have it! Not a ton of favorites this month, since I didn't do a lot of experimenting. Plus, my Favorites for 2015 will be coming out next month, so I didn't want things to get too repetitive. What were your favorite things this month? Or this year? Anything you want to tell me is fine, really. Do you like dogs? Want to see more of my favorite products? Disclaimer: This post is not sponsored. Some affiliate links included.